This weekend we finally participated in the New York City Yarn Crawl! Really, it’s been too many years living and knitting in New York City and not going. I’m not sure how long The Crawl has been going on, but every year something or other has gotten in our way. Not this year, baby! The Yarn Crawl is three days every fall where participating yarn stores throughout New York City lure us crazed fiber art folk into their stores with sales, raffles and fun give aways. We crawled our way through our favorite yarn shop, Purl Soho. Discovered a beautiful new store, Downtown Yarns, which is across the street from the UCB East, which is crazy because we probably spend at least a third of our lives there and NEVER saw it. It is across the street. Smdh. And finally, took a quick pitstop at the lovely Argyle Yarn Shop on the way home. Ash got some beautiful Malabrigo Mecha at Downtown and some Knit Collage Gypsy Garden (that she’s been yearning for since the NYC Yarn Crawl 2 years ago!) at Purl. And Caroline got some luxurious cork chenille Habu yarn at Purl, perfect for those luxurious washcloths. We’ll keep you posted on those bad boys. Check out our photos below including some happy knit bloggers’ mugs! 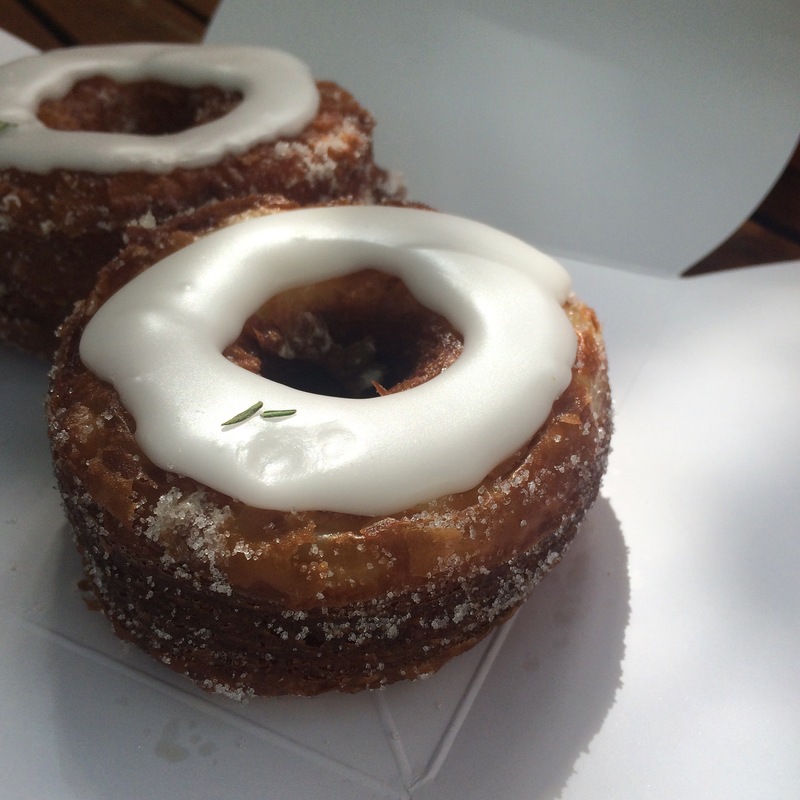 Ok, but first sustenance: Cronut sustenance. And now, fed and welcomed to the Yarn Crawl. Basket o’ happiness at Purl Soho. We made a little friend along the way. This is wolf dog. We love her. Buttons on buttons on buttons at Downtown Yarns.